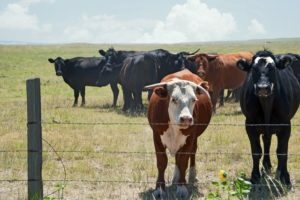 Not all cattle minerals are created equal, and it’s important to recognize the differences in minerals that are out there. Even though mineral nutrition is complicated, you can easily evaluate or ask questions about a few different elements of a mineral supplement. If you’re not feeding a quality supplemental mineral, you may see the consequences of mineral deficiencies later. You want to avoid decreased calf weaning weights, small or weak calves, decreased milk production, reduced or delayed conception and even poor immunity. A complete mineral should contain the proper balance and ratios of all 14 essential cattle minerals. Those minerals include calcium, copper, cobalt, iodine, iron, magnesium, manganese, molybdenum, phosphorus, potassium, selenium, sodium, sulfur and zinc. Some key trace minerals that you might look to for bioavailability would be zinc, manganese, copper, and cobalt. These minerals are required for a variety of functions including, but not limited to, immunity, reproduction, growth and fiber digestion. This entry was posted on Thursday, April 11th, 2019 at 8:30 am	and is filed under News & Updates. You can follow any responses to this entry through the RSS 2.0 feed. Both comments and pings are currently closed.